We offer these fantastic marquees throughout the North West and the Home Counties. The tents are carefully hand made by Wills Marquees in Yorkshire, using traditional materials and old fashioned know how, our beautiful canvas and wooden pole marquees create a magical space for any celebration. Proudly partnered with Will's Marquees of Yorkshire, who also manufacture our beautiful tents. Copyright © 2019. 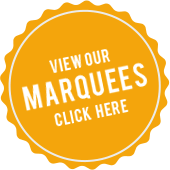 Original Marquees is a trading name of Original Tents and Events Ltd. Registered Office: 14 Clifford Court, Cooper Way, Carlisle CA3 0JG. Registered in England and Wales, Company Number 10949230. All rights reserved.